NEW DELHI / PRADEEP / DTH News Blog : DD National, main channel of Prasar Bharati going to be re-launching with new slogan "Desh ka apna Channel". 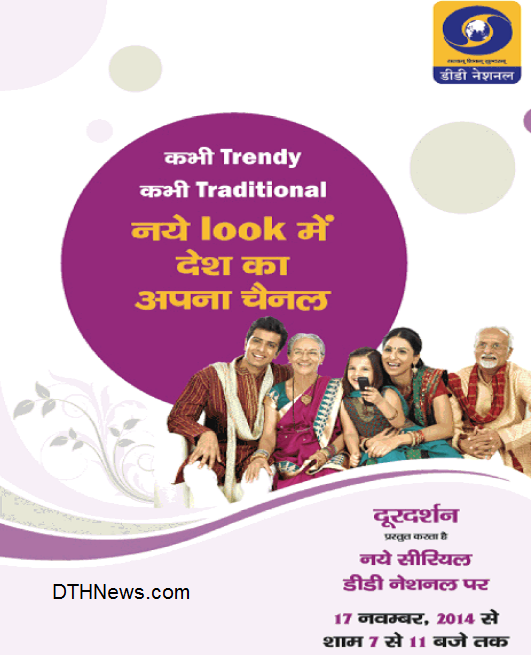 Now DD National will have a new look with new shows from 17th November Monday in evening 7:00 Pm to 11:00 PM. So apart from new shows or programmes, the channel be in new colours, its purple and pink. 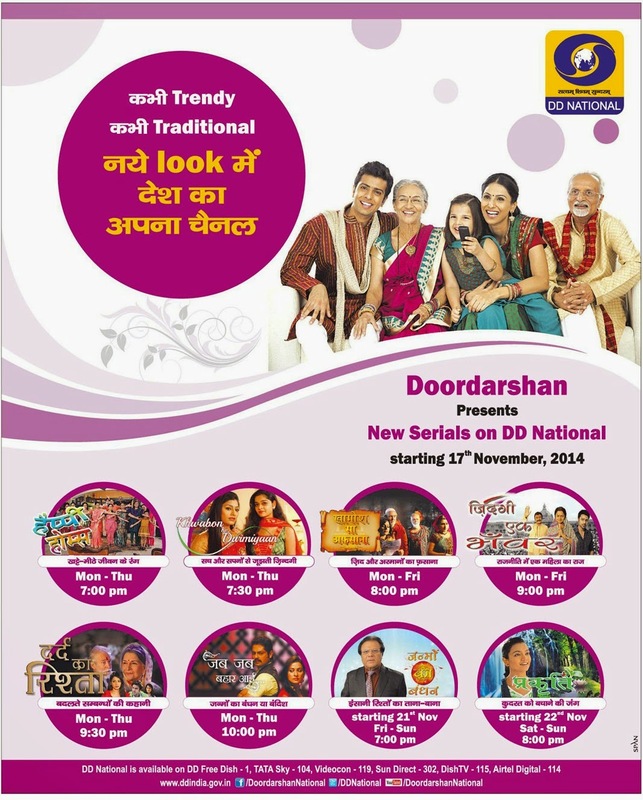 Doordarshan also promoting it with taglines of “Kabhi Trendy and kabhi Traditional" Desh ka apna channel. According to PTI news and Times of India, Doordarshan National will be coming with a new look and feel and 8 new shows in prime time," said Vijayalaxmi Chhabra, director general, Doordarshan. "There was some problem in acquiring best quality content earlier but now the guidelines that have been put in place are more competitive and we feel that Doordarshan will be able to show best quality," the official said. 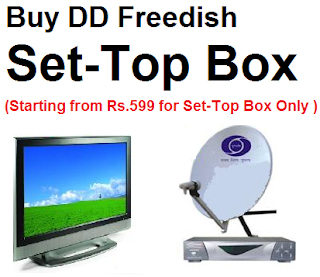 DD National channel at this time reaching all over India by using Regional terrestrial analogue signals, Cable TV, Direct to Home Service (DTH, including DD Freedish), DVB-T2 (In Delhi NCR) etc.